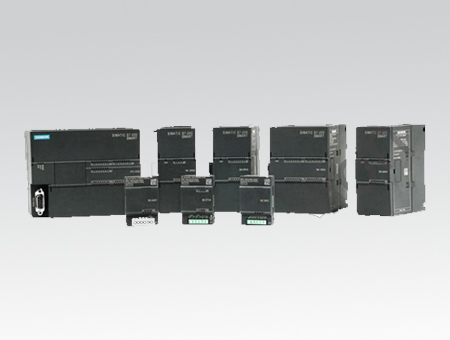 It provides CPU modules that have a great number of I/O points onboard (up to 60 points.) The CPU module has a standard type and compact type for the users to choose, which can meet the different needs of customers. The new signal boards are designed with accessible communication ports, digital or analog channels, that are closely fitting to the user's application requirements, and lower the user’s costs for expansion. It is equipped with Siemens dedicated processor chip, the basic instruction execution time is up to 0.15 μs, it has the leading performance equated to the micro PLC of the same level, it can easily deal with complex and fast processes. All CPUs have integrated Ethernet interface to download the programs conveniently and quickly using the common cable. Through the Ethernet port, it can connect to other Simatic CPUs / HMIs to realize interconnection and set up the network. Provides powerful functions of speed and positioning control, the CPU module can maximally integrate three 100 kHz high speed pulse outputs, and support PWM/PTO. This PLC integrates Micro SD card slot, supports common Micro SD card, can be used to update the program or device firmware, and can provide great convenience to the engineer who conducts the field service. Based on the powerful functions inherited from the Siemens programming software, it has absorbed more humanized design which has enhanced the user friendliness of the software greatly. Improved the efficiency in developing the program. • Communicate with multiple Ethernet equipment through the switch to achieve fast data communication. • Supports upto 8 active GET/PUT connections and 8 passive GET/PUT connections. Central processing unit (CPU) Order No. Extension module (EM) Order No. Signal board (SB) Order No. 1. Automatic Online inspection system using SICK Cameras and SICK sensors for Nail Paint Brush and SIEMENS S7200 Smart ST30 PLC and KTP 600 Basic HMI . This system is successfully Commissioned at Vasai , Near Mumbai , India. 8. Automation of Rapid mixer granulator of 400 Ltr Capacity using SIEMENS S7 200Smart ST60 PLC and Siemens KTP 1000 HMI at Khulna, Near Dhaka , Bangladesh. 28. Online Vision inspection system for rejection of defected component by using SICK cameras and Siemens S7 200 Smart PLC and Siemens Wincc Scada system commissioned successfully at Tashkent, Uzbekistan. 31. Automatic packaging system with Siemens servo drive and Siemens s7 200 PLC commissioned at Gurgaon near NEW DELHI. 33. Automatic material handling system for bottling plant installed at Chennai, , and Bangalore We have successfully installed Siemens S7 200 Smart ST60 PLC with Siemens KTP 600 HMI.